One of my mannerisms that I hate the most is I tend to touch my face... a lot. Disgusting as it sounds, I enjoy popping my zits. Even more disgusting: I find extreme whiteheads / blackheads extraction videos on Youtube quite amusing! I don't know why. I hope none of my readers are having (or probably losing) their breakfast now. As fun as it is for me to watch those videos, I don't want to encounter any of those in my lifetime! I believe tiny white spaghetti blobs on the face don't belong to any FOTDs! 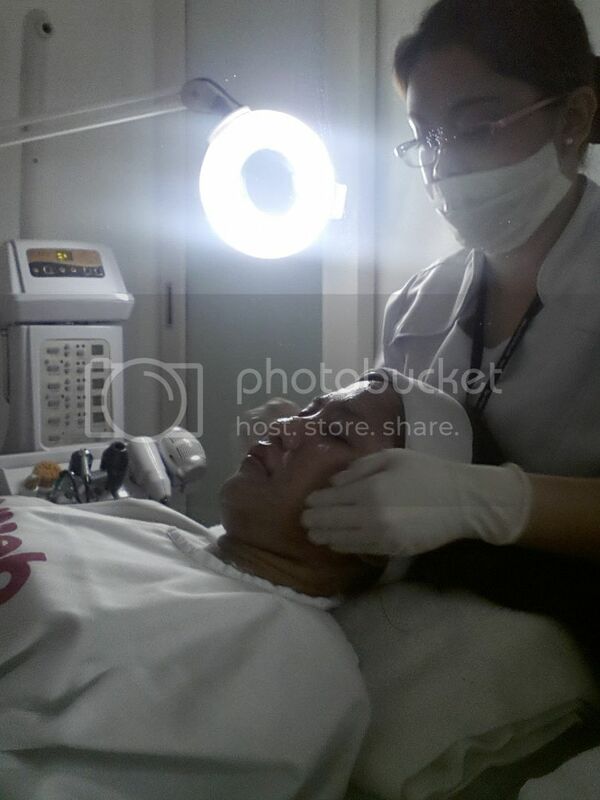 As a preventive measure, I went to Dermclinic at SM North Annex to have my Crystal Facial done. So I haven't had a trip to the derma or had a facial for eons so I knew it was the perfect time to visit. My last visit at this branch was way way back in High School and I was covered in zits back then! I have to admit, their products are pricey because they were sold in kits BUT they are so effective that I've completely forgotten how pimply I was before. 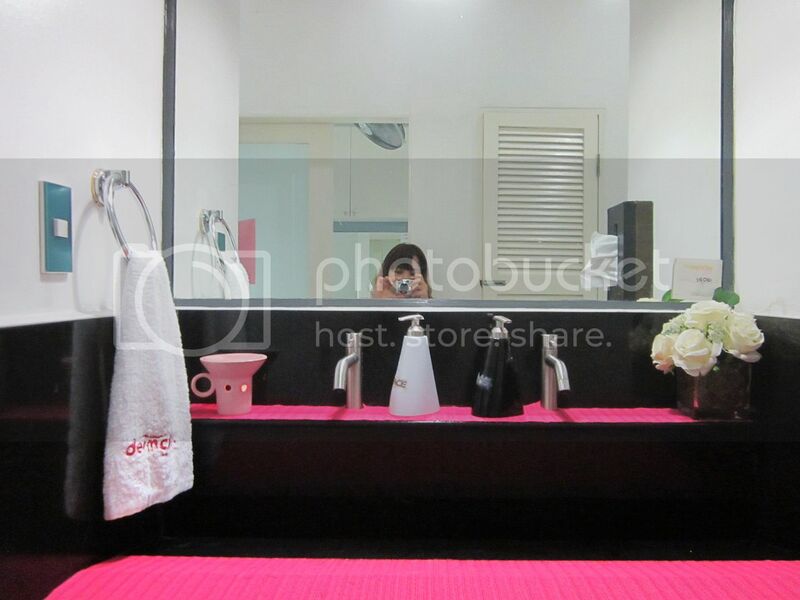 Look how girly their wash area is! Before anything else, they instructed me to wash off my makeup. The liquid soap on the left is for the hands while the one on the right is for the face. 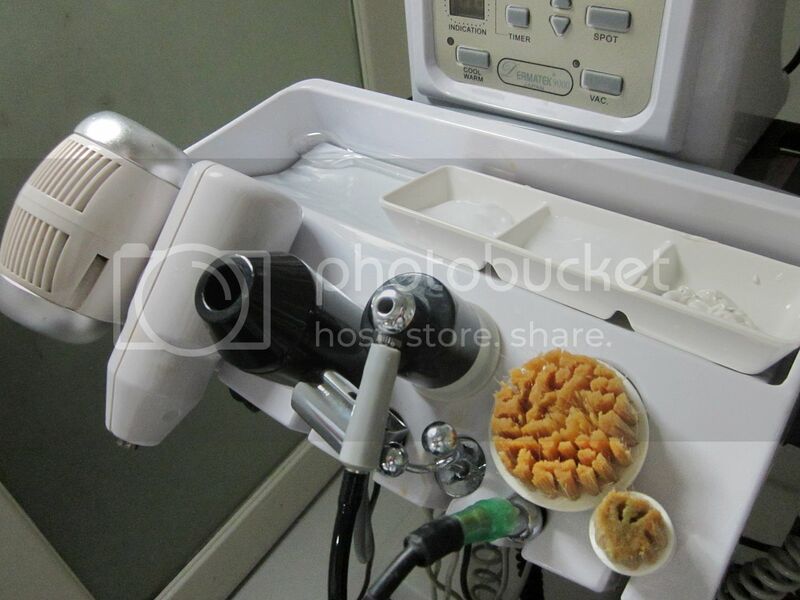 This is where I had my Crystal Facial done. I definitely find the place relaxing because it was quiet inside the clinic. It was as if you won't feel like you're inside a mall. 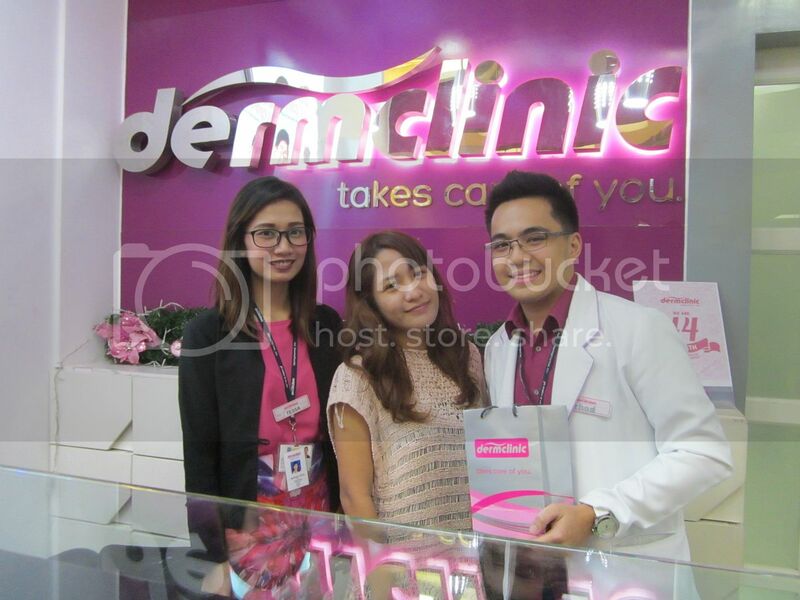 Dermclinic has just celebrated their 44th anniversary this month! 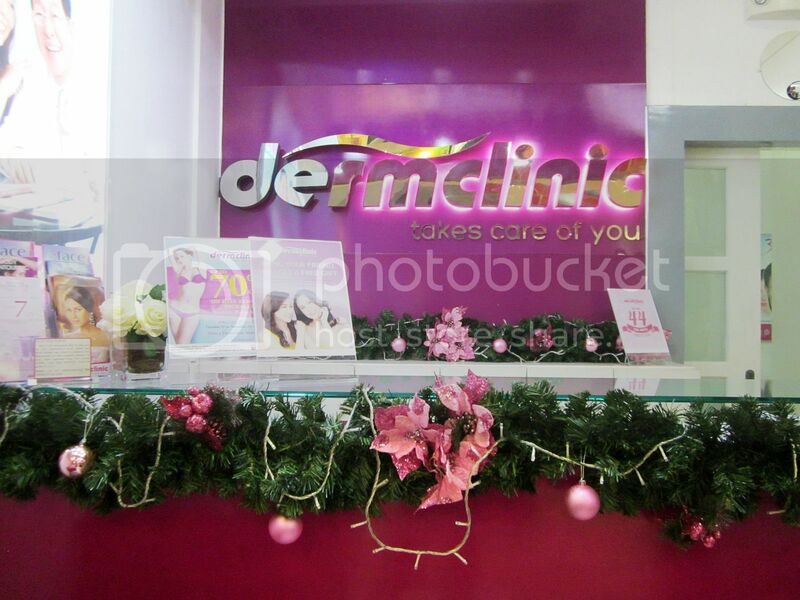 For over 44 years Dermclinic has become the pioneer and the leading dermatological center in the country. Full-time doctors who have undergone years of medical study and intensive training in professional dermatology warmly welcome each patient, 7 days a week. These are some of the tools they used on me. 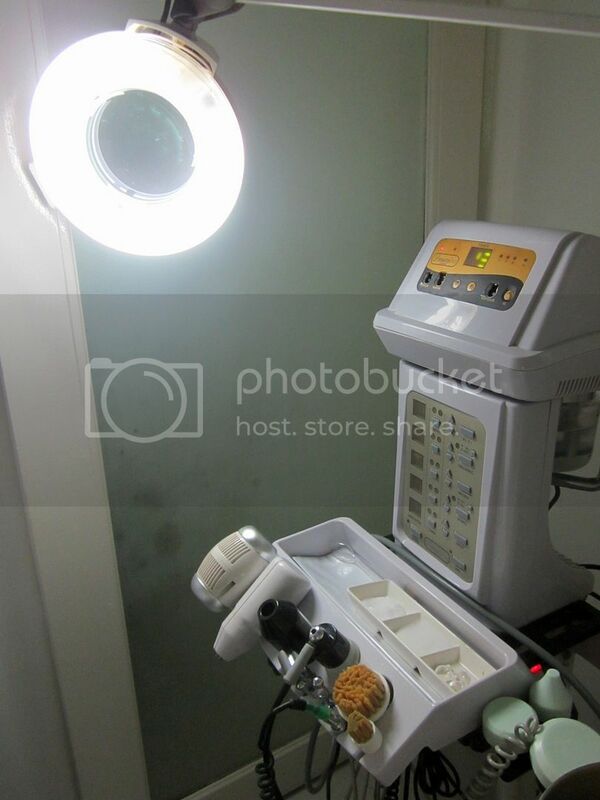 It is said that their state-of-the-art equipment and facilities are also available to complement its wide range of services and breakthrough procedures, all to ensure the best aesthetic results possible. According to them, the Crystal Facial is a milder version of a Diamond Peel. It is advised that this should only be done at least every two weeks. Too much could cause the skin to dry up and that isn't good. Before anything else, they first treated my skin with a Deep Cleansing Cream to clean my skin and Moisture Plus Cream to delay premature aging. 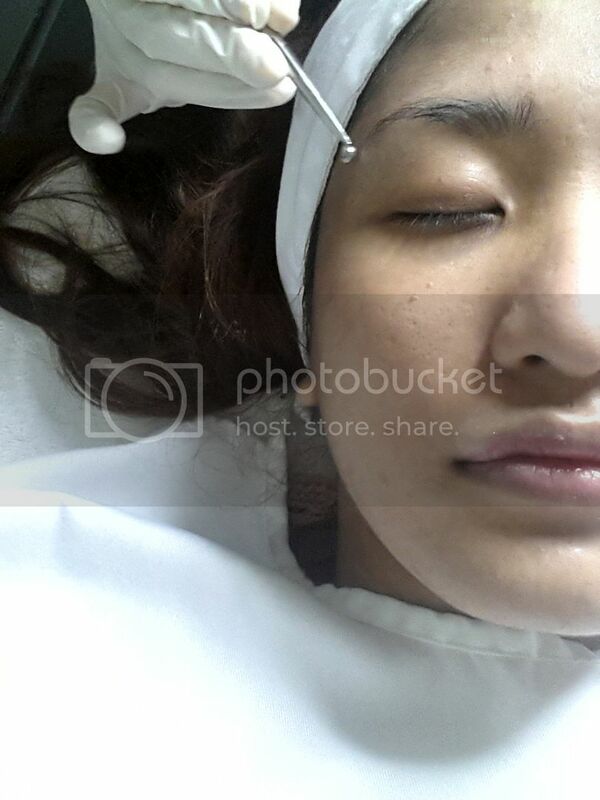 They then applied an Intense Whitening Firming Mask on my face and left it on for 10 minutes. Also had a mild extraction of my T-Zone to get rid of deep seated blackheads and whiteheads. Yes, that's me without makeup. Here's a video of me having my face brushed with a big and small brush. The bigger one is for larger areas of the face while the smaller one is for those hard to reach places. The last part of the video is where I'm having my skin "vacuumed" to get rid of my dead skin cells. Revealing a healthy glowing skin underneath. The end result? THIS. 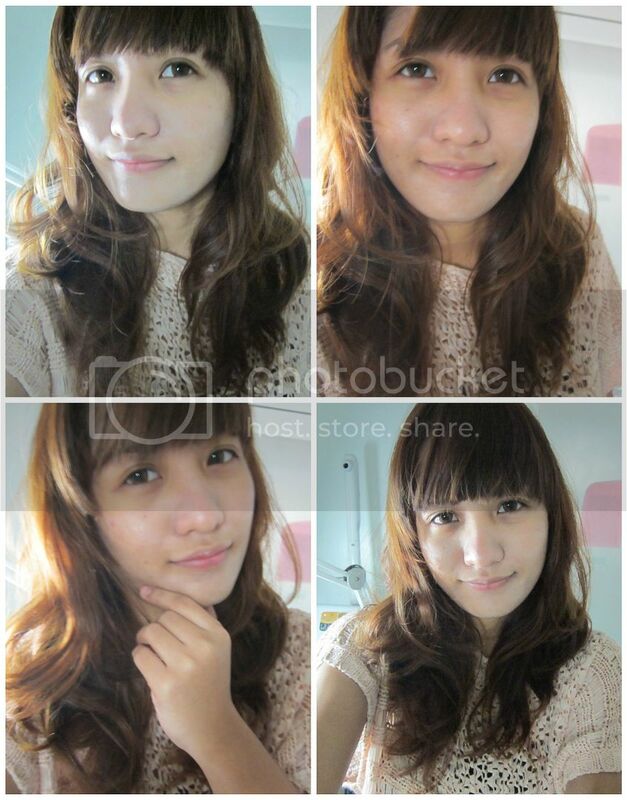 A healthier skin that doesn't need any makeup or filters for these selfies! I don't know if the results should be instant but I was already seeing some micro-peeling action there. Not sure if you could see it closely though. The only possible downside of this that I could think of is you aren't supposed to put anything on the face and wash the face overnight so that you could get the most out of the treatment. That's pretty much it. Through the years, Dermclinic has been dedicated in providing customer satisfaction through excellent services and high quality products. You can never go wrong trusting the pioneer! Random Tip: The whole thing would probably cost you P1200. But if you're a BDJ Bella you should definitely check your coupons now so that you'll be lucky to avail of the Buy 1 Take 1 Crystal Facial promo! The year is ending soon, better use it now! If you wish to stay updated, they also have Facebook, Twitter and Instagram. What about you? Any skin treatments that I should know about? Please do share! Let's connect on my social media accounts! Beauty Secrets Just Launched Their Mud Products! Have you ever experienced rubbing mud off your face in pursuit of beauty? When we talk about beauty, usually we'd think of the likes of Papaya, Aloe Vera, Coconut and other ingredients. Mud is something we'll most likely wipe off our faces... But not this one. 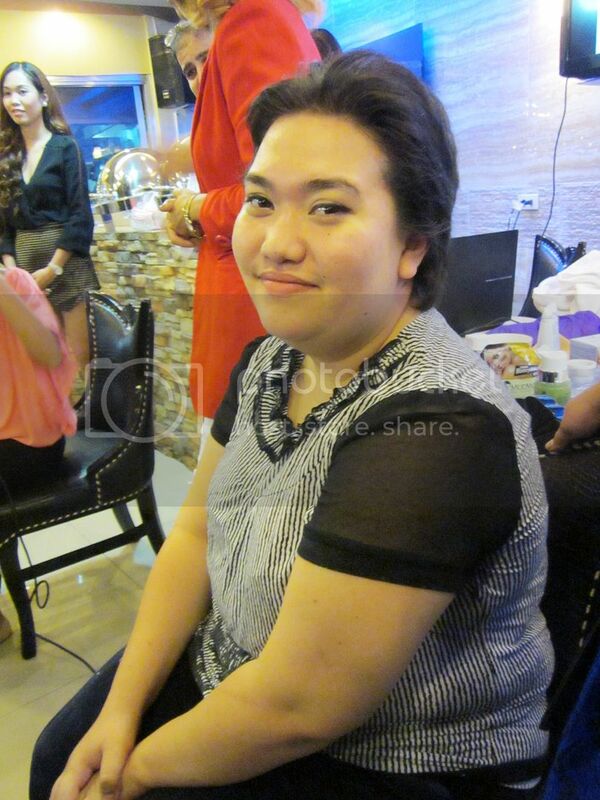 Last Friday night, I got invited to the December Launch of Jordan's Beauty Secrets Mud Products along with other beauty bloggers at the Al Batra Coffee Shop and Restaurant in Makati. 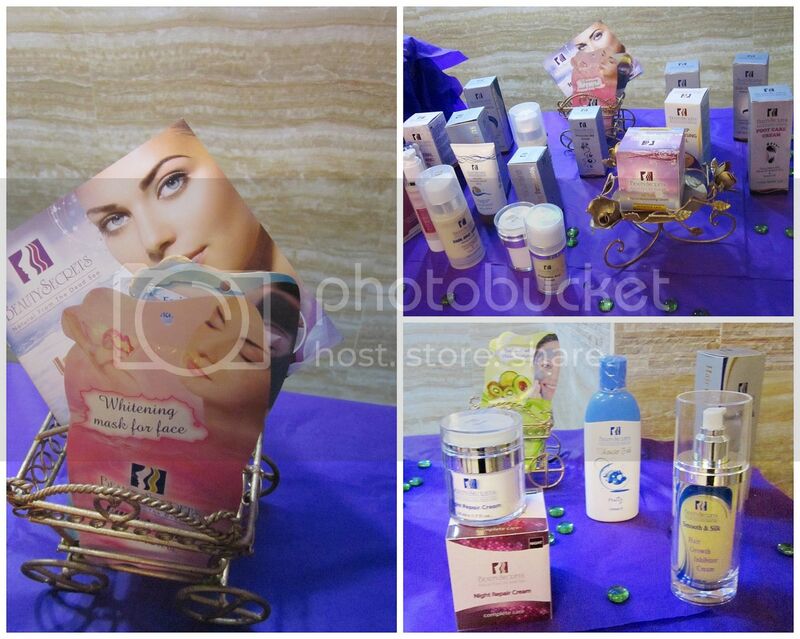 It was a night filled with fun as we got to learn more about Beauty Secrets and try out their products. 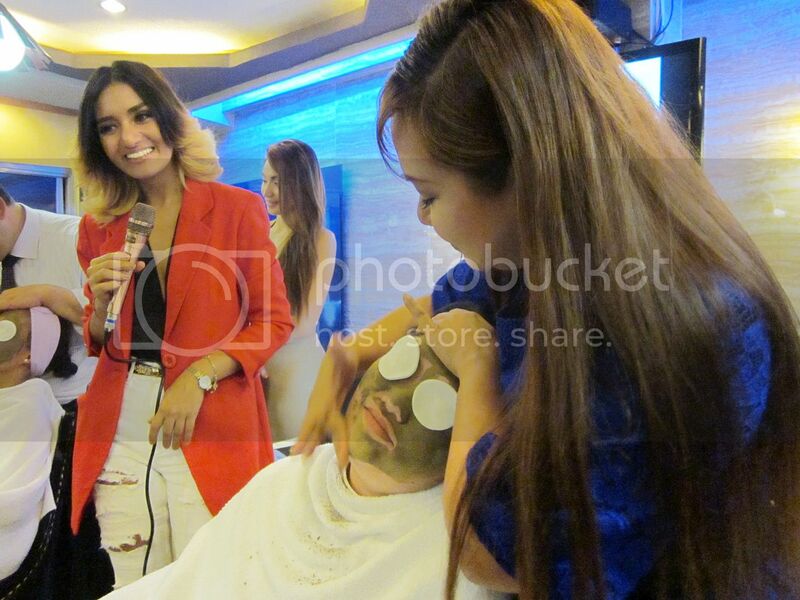 Alice was one of the lucky volunteers to have her face pampered with the Natural Facial Mud Mask. Alice's skin looks so glowing after! Right? 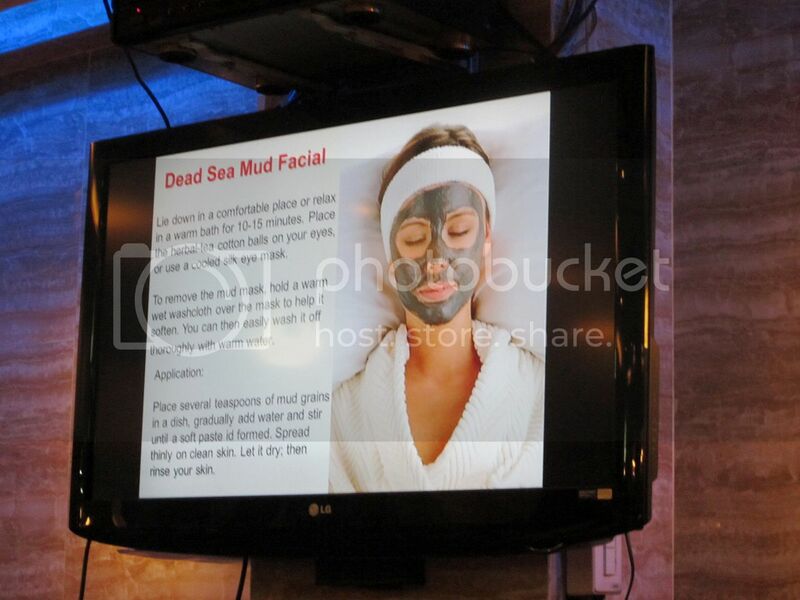 They told us that this mask is fortified with high concentrations of Dead Sea Minerals and a unique hydrating complex that actively helps revitalize the skin after exposure to the environment. It promises to leave the skin with a smooth, healthy appearance especially when applied twice a week. According to them, only Beauty Secrets Products Facial Mud and its other products from the dead sea has 21 minerals like Magnesium, Potassium, Chloride, Bromide, Sodium, Iodine, Calcium to name a few. And other ingredients like Aloe Vera, Collagen, Sage, Chamomile, Avocado, Jojoba, Vitamin E and Ginger Roots. What I found unusual about this product is most masks like this are usually washed or peeled off the face. If I would to compare it with any beauty products that I have encountered I'd say it's like the Aztec Secret Indian Healing Clay when being prepared and Snoe Magic Apple Whitening S-Rub when being removed. 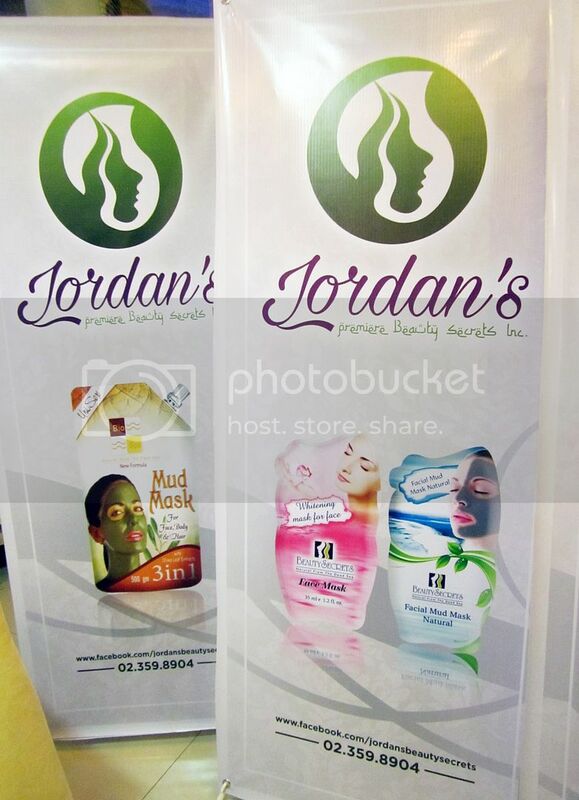 Currently, they have more than 120 plus products for the face, body and spa treatment that is distributed by Jordan's Premiere Beauty Secret Inc. I wouldn't be so surprised if I'd get to encounter more interesting products like this. The mud from the dead sea has been used for generations and I think its the time for our generation to sit down and enjoy it as well. What about you? What's your fool-proof beauty secret? 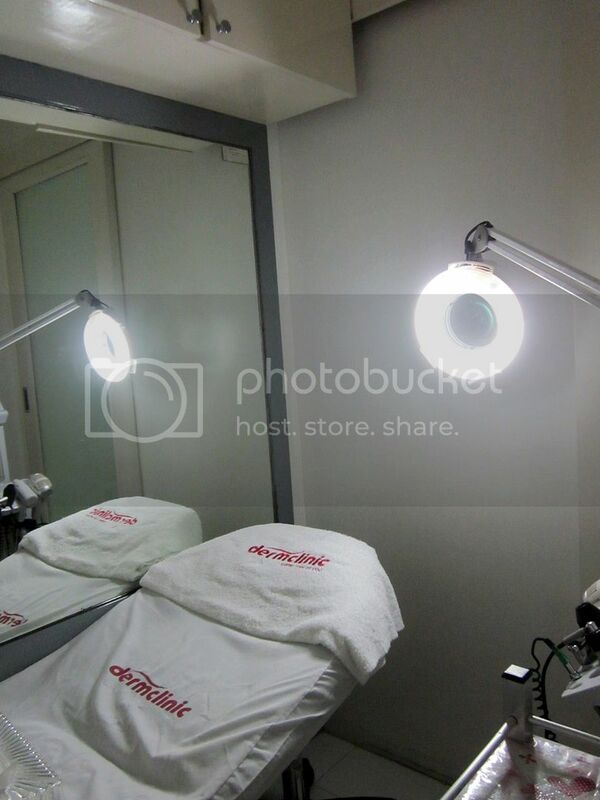 Book for a personalized facial and body scrub treatment at their outlets soon! To find out more about them you can visit their website at http://www.b-secrets.com or like them on Facebook page www.facebook.com/jordansbeautysecrets. Crazy obsessed about beauty? Let's be crazy together! Visit my social media accounts and let's follow each other! Raise your Glass! 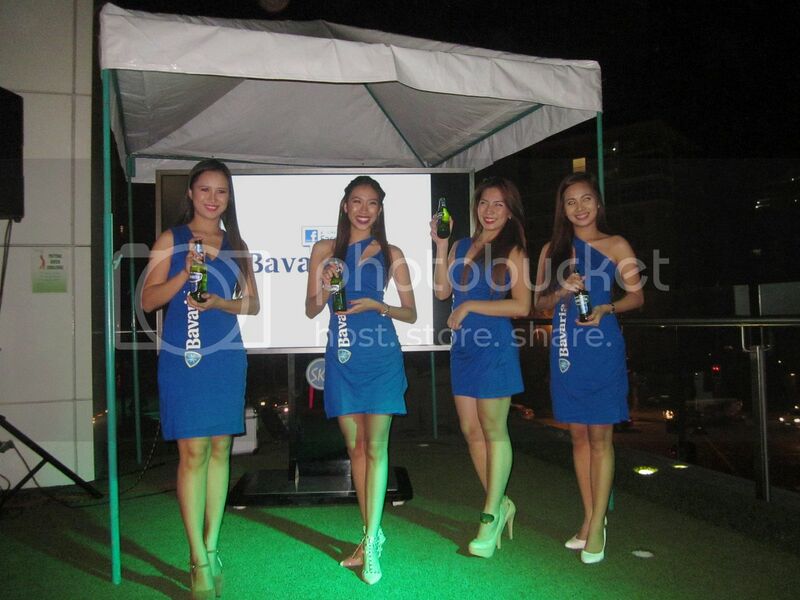 Bavaria is now in the Philippines! 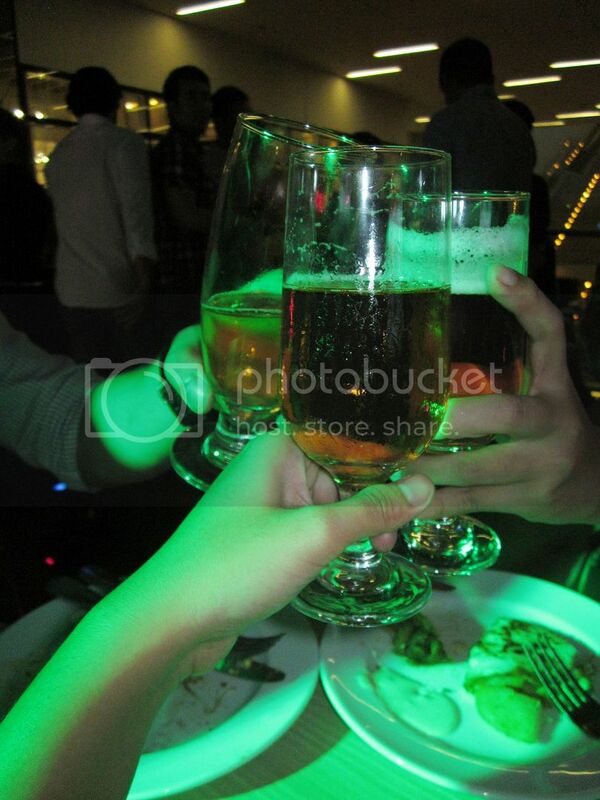 When it comes to drinking, I personally enjoy the taste of beer. I love that satisfying distinct aroma and flavor that it gives off. Perfect to enjoy after a long hectic day while chilling out with friends. However, not all of my friends aren't into beer and would prefer to drink hard alcohol instead. Other than they're aren't into those because of CARBS... they don't like the flavor too. Weird. I don't know what they had previously, but I think a taste of an award winning premium beer from Holland might change their minds. 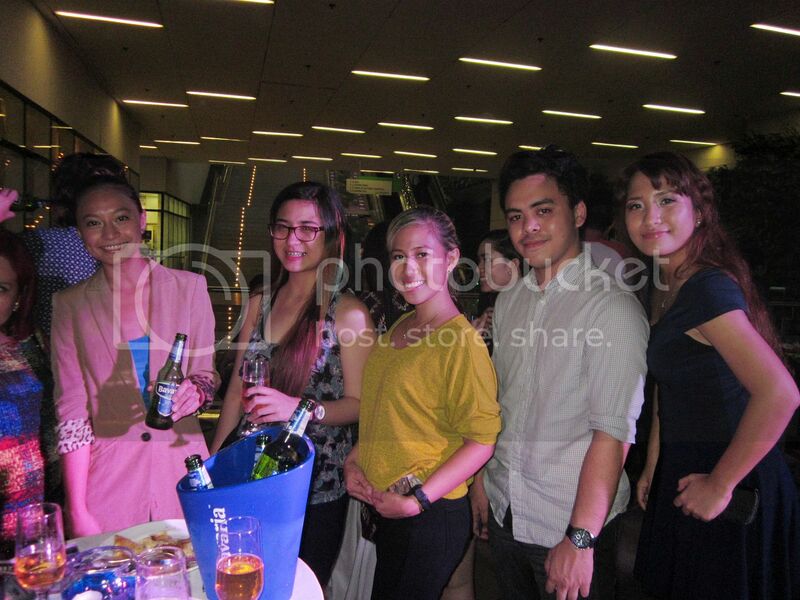 Last Saturday night, I got invited to Bavaria's Beer Launch held at the very cozy UCC Mentore inside SM Aura. 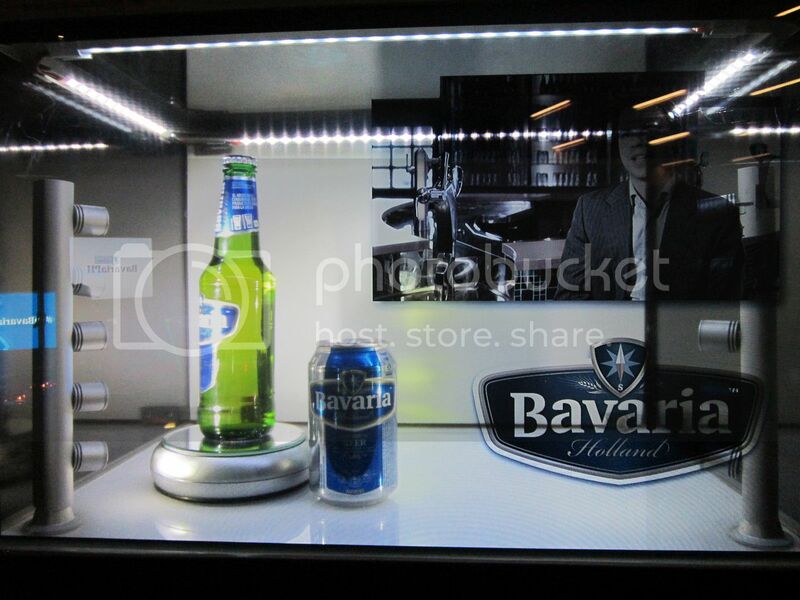 There we were introduced to Bavaria Premium, the flagship product from the Bavaria product line-up. 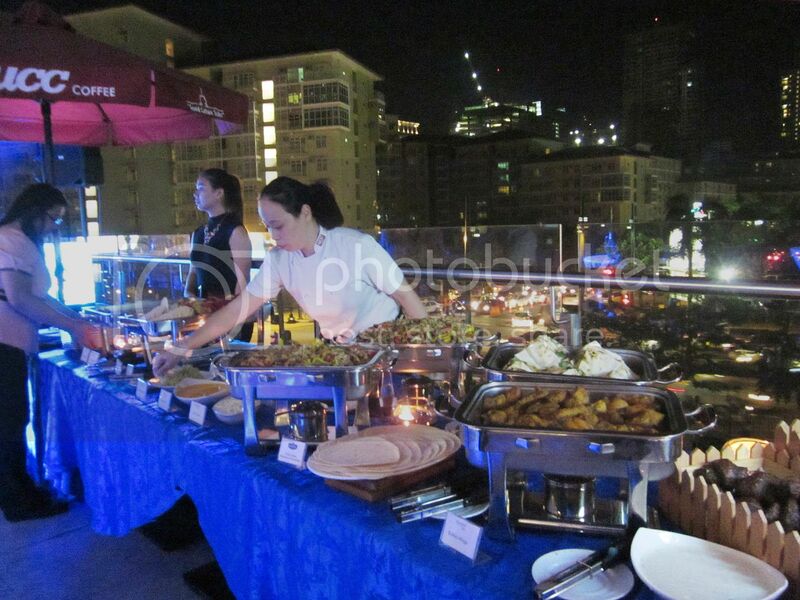 The guests were treated to a night of great music, delicious food and of course free flowing drinks! Have your ever wondered what 300 years and 7 generations of brewing perfection tastes like? Refreshing and light, perfect for anything. Bavaria has a profile of a premium and clear lager where you will experience the taste of a real beer: premium malts, hops, and the freshest spring water from their own spring at Lieshout, Holland. I won't lie, I love it and I don't think I'll get tired drinking this anytime soon. It's surprisingly refreshing and light that I can't even believe that it has an alcohol content of 5.0%. A perfect balance between the flavor that I like and the right buzz I wanna get. Just the way I like my beer. 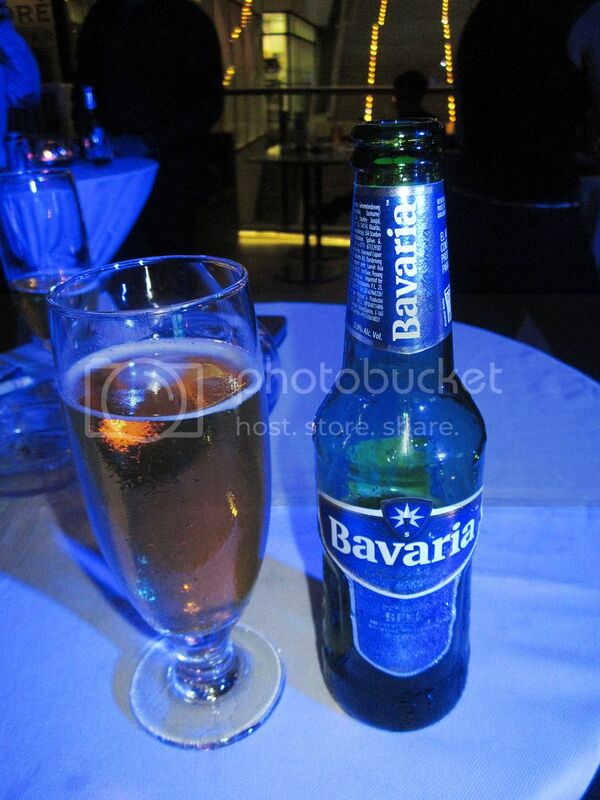 Other Bavaria products are also coming to the Philippines. Namely, the 8.6 which has an alcohol content of 8.6% that is strong and edgy blonde ale that will make you feel a special buzz from a special brew. ANDDDDDDD for my friends who don't want to drink. You don't have any excuses anymore! 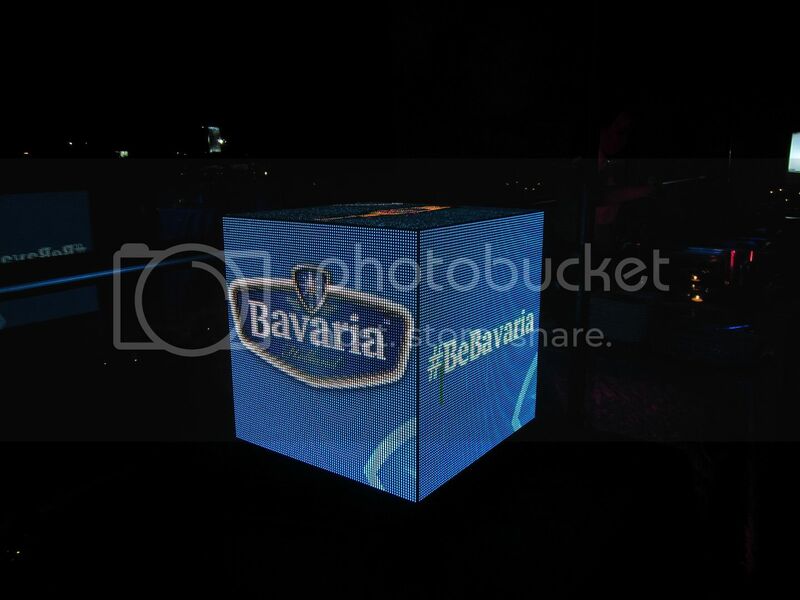 There's also the first ever Bavaria 0.0% Malt Drink that comes in 3 flavors: Original, Peach and Pomegranate. An alcohol-free alternative that is great for parties! Can't wait! I believe all work and no play makes jack a dull boy. Stop treating yourself like an after thought. Don't forget to reward yourself once in a while with only the best that you deserve. Cheers to that! How about you? What's your favorite alcoholic drink? Let me know! 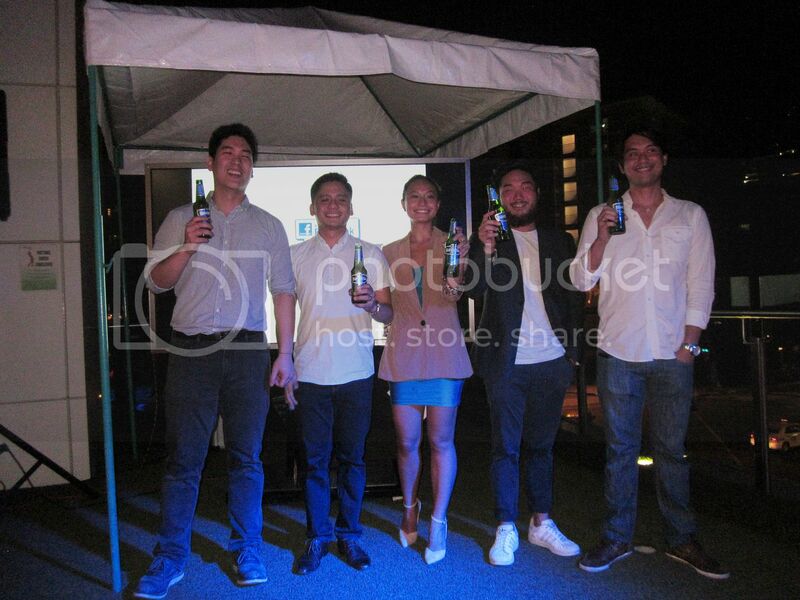 Bavaria is now available in 7-11 outlets and soon in establishments near you! To stay updated on posts like this, feel free to check out my social media accounts! Cycling is not only an environmental friendly way of going places but it is alsobecoming a good form of exercise with most Filipinos - especially those that are training for a triathlon or duathlon. There is no surprise that there's a huge surge of cycling events are now happening within the Philippines - with the first from Giro de Pilipinas. 3Q Sports Event Management with its partnership with 97.9 Home Radio, Aliw Broadcasting Corporation and the Lighthouse Marina Resort Giro de Pilipinas' aim to make the Filipino a great contender for the international cycling circuit, they tested the Filipino cyclist's energy, endurance and stamina with its one of a kind courses. The event was held last October 9-11 at the Subic Bay Metropolitan Authority, the registrants - both local and international were given multi stages to conquer. With huge show of support from over 550 individuals, 50 executive cycling teams nationwide and almost hundreds of participants all over the world including riders from from Taiwan, Hong Kong, Singapore, Scotland, USA, China, New Zealand, Kenya, Germany, Korea, Dubai, Canada and Japan Giro De Pilipinas gave a new experience to all the participants with a new course to test them that also showcases scenic routes of Subic, Zambales and Bataan. To help promote Cycling in general as a tool towards healthy living and to encourage everyone to get out and form a team, Giro De Pilipinas paved way in making this possible with also showcasing scenic routes of the Philippines. To know more about Giro De Pilipinas, Check out their Facebook page for more updates. For this month's set of empties you might be a bit surprised that I haven't "consumed" a lot of products lately. What happened? I started going freelance and worked from home a few months ago. That means less stuff to put on the face since no one could see what I look like at home. So awesome. I also don't have to deal with the hellish traffic that's going on especially now with Christmas fast approaching. But that's another story. Without further ado.. Here are some of the products that I have tried and tested up to the last drop! 1.) Pond's Perfect Care Facial Wash - When it comes to facial washes, I never had a problem with Pond's. This one didn't dry my skin as much and didn't cause breakouts. However, it didn't do much on my skin. 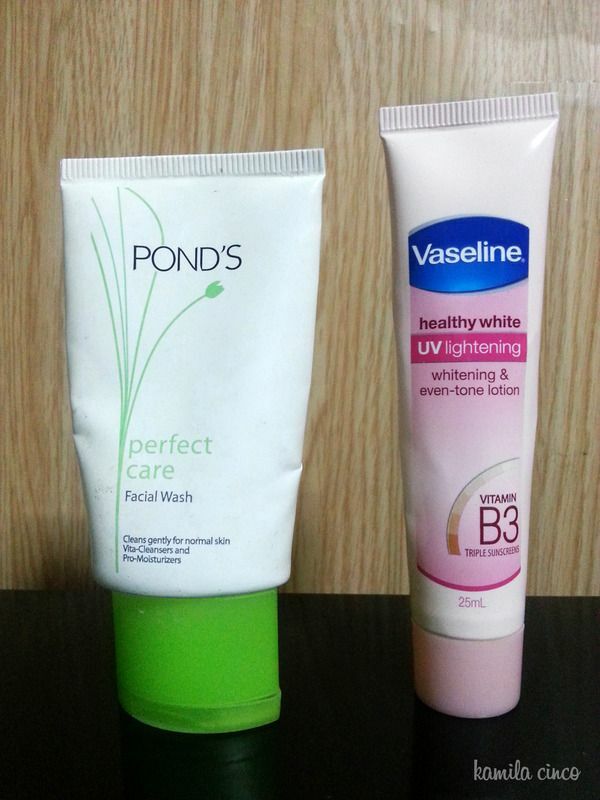 I still prefer their other variants like Pond's Clear Balance Smooth Pores and Pond's Clear Balance No Blackheads. 2.) Vaseline Healthy White UV Lightening - I purchased a smaller version of this just so I could test it on my skin. It feels light on the skin and it smells good too. However, I think I need to commit to getting the full size version of this if I really really want to see drastic results. So far I haven't seen much difference on my skin yet. 3.) 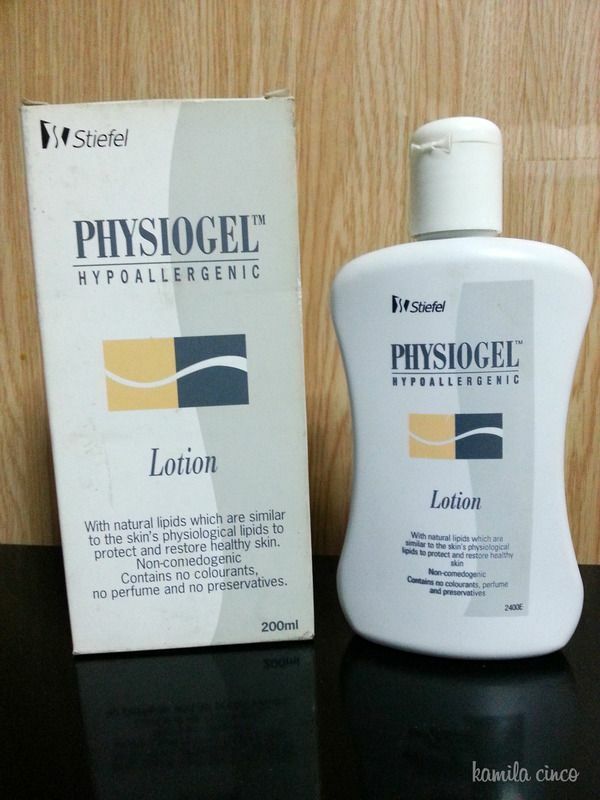 Physiogel Hypoallergenic Lotion - Even though they've already released a new and improved version of this lotion, I still think Physiogel should start creating a new line of products with sun protection! I really love how much this product instantly hydrates dry skin especially when you're in air conditioned places. Surprisingly as hydrating as it is, it doesn't feel heavy on the skin at all. The consistency of this isn't as thick as your regular lotions so a little goes a long way. 4.) 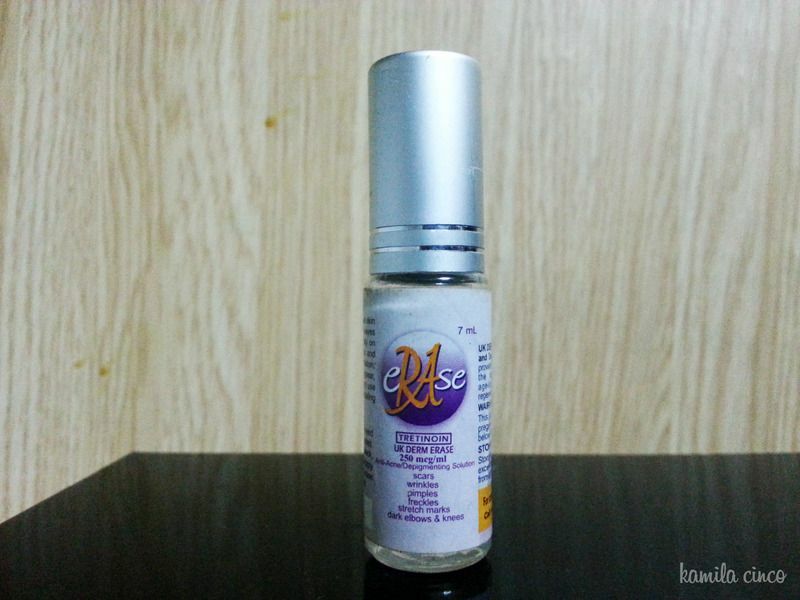 Erase Tretinoin Anti-Acne and Depigmenting Solution - This is a must for my night regimen since I like to pop my zits a lot. I know, I know. It's disgusting and it's bad to pop them because they'll leave you with nasty scars and all. To counter it, I spot treat my scars with this. It is inexpensive for P99 because I find it effective. It got rid of the less severe scars that I had, but I couldn't guarantee that it'll remove everything. The only thing I don't like about it is sometimes my skin peels and it doesn't look good when I go out. Nevertheless, it's a good product and it's nothing that a good moisturizer could remedy. Definitely repurchasing this. How about you? Any HG beauty product that you'd like to recommend? Let me know! For more updates on posts like this, feel free to check out my social media accounts! It was last February when my mom's close friend drove us all the way to Pampanga just to have lunch. Crazy, right? 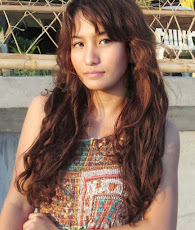 She tells us that she goes to Pampanga when she is craving for Kapampangan dishes. Kapampangan Food is a cuisine all Filipinos know for sure. 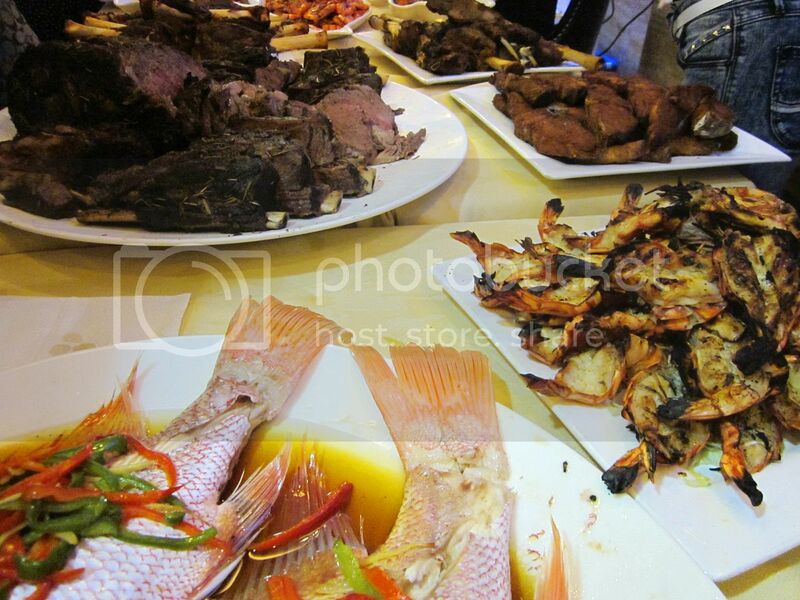 Known for its bold and savory dishes to its one of a kind dishes such as Camaru or crickets. The roadtrip slash foodtrip that we had was really fun and memorable! Ever since then, I couldn't resist buying my own Paco Fern for my salad... I even have one on the fridge right now. Plus, it was also my first time to try a fried Betute! Unlike my mom's close friend... not everyone has the luxury of time going all the way there to have lunch. 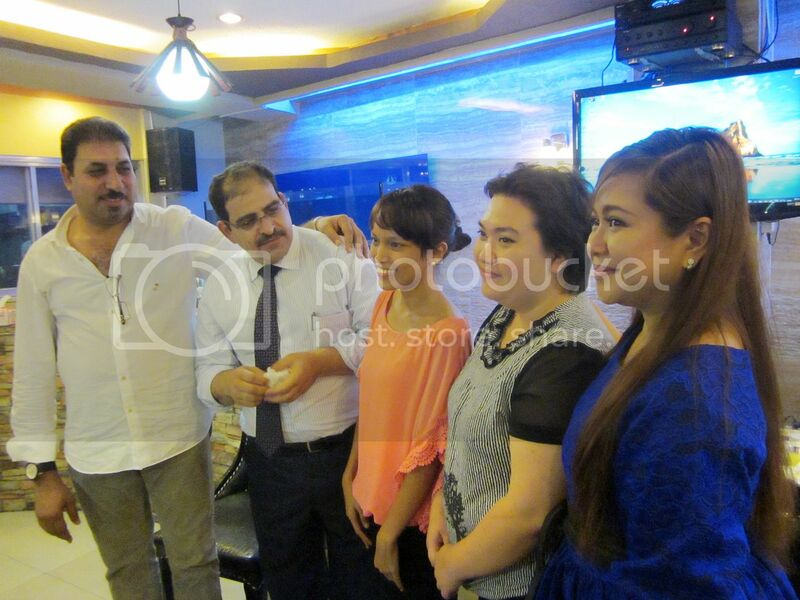 Fortunately, somewhere located at the Metro’s business district – Makati city, you can dine at Apag Marangle. Where they are offering the best Kapampangan food and great deals good for the whole family. As part of their new offering Apag Marangle is offering an array of boodle fight meals that is perfect for your budget and taste buds. And prices would start at 1,100 pesos. 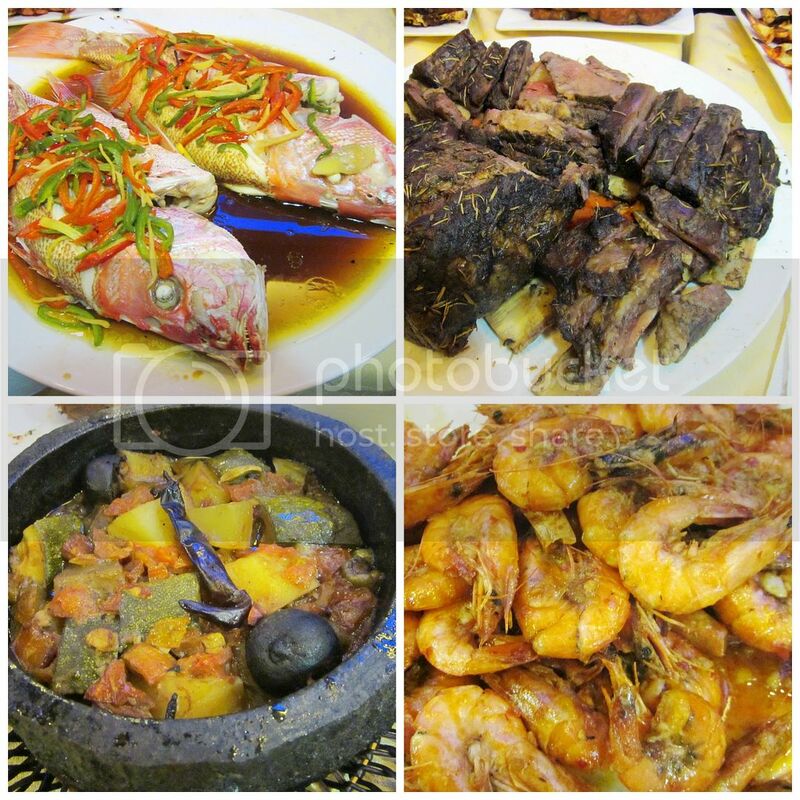 Apag Marangle and Kapampangan cuisine go hand in hand in bringing Pampanga near to every Filipino. Let's go visit Apag Marangle at Parksquare Makati and have a taste of fresh and authentic Kapampangan food today! Who's with me? One of the things you need to know before purchasing a pair of contact lens is it's not one size fits all. Do you have astigmatism? Chances are you should be wearing toric lenses instead of soft contact lenses. Are you going to a promising job interview or the first day of work wearing a pair of oversized dolly lens, sclera lens or crazy lens? Chances are they might prejudge you based on your appearance. Another thing to consider is just because it looks good on the model doesn't necessarily mean that it would also look good on you. Not to discourage you or anything but I'm just being honest. I just don't want people wasting their hard earned money on things that wouldn't suit them well. To my readers who are considering getting their first pair of contacts you might want to consider Canis Grey. A very subtle and versatile pair of contacts that I got from Klenspop, the leading company of circle lens and cosmetic lens in South Korea. Inside the box: contact lens case, lens tweezers and vials of the circle lens. If you're new to this, they have the contact lens manual printed on the back of the box. I remember years back that I had to do my research online and watch countless Youtube videos on how to put them on. It was tricky, but you'll eventually get the hang of it! Now I could put them on and off without looking at the mirror! Hohohoho! As always, I got them in my prescription... I'm quite happy that my prescription isn't going up. I hope that it goes down someday. Getting Lasik is pricey and risky. The design of the Canis Grey has a unique starburst pattern that blends seamlessly into the iris especially on dark ones. They're very very natural on Asian eyes that it's like you're not wearing anything at all! For me, I believe the Canis Grey is quite reminiscent of GEO Magic Black (CK-101) but with a more lovely gradient and sharper lines that would accentuate your natural eye color. Even with the pattern, DON'T expect any color change with this one unless you have light colored irises! The surprising thing about the Canis Grey is they aren't exactly grey. They're JET BLACK. I think they should rename this to Canis Black to avoid all confusion. Just like any regular sized lens at 14mm, don't expect too much enlargement with these. With a thin limbal ring and a graphic diameter of 13.4mm, it does make your irises appear to be a little bit bigger but it's not that too noticeable. When I do a contact lens review I make it a point to wear it for weeks to months before writing anything. These are very comfortable and up to this point I haven't encountered any discomfort or any irritation with these lenses... unless of course when I wear them too long. Something that you shouldn't do! If I were to name this, I'd call it my "all-around" lens. I could wear it anywhere without bringing too much attention to my eyes. It's simplicity is something that I find convenient since you wouldn't have to worry if your office dress code allows it, makeup clashes with it or whatsoever. If you're wearing clear lenses for quite some time, you might want to consider this for a change. With these pair, I think you could never go wrong. 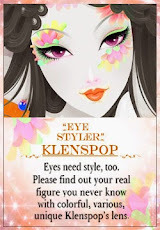 For more affordable Korean contact lens like this you better check out Klenspop's online shop at http://klenspop.com/en/ where they have a wide variety of designs, different brands and sweet deals / discounts! Want more reviews like this? Let me know! Send me a shoutout at my social media accounts!